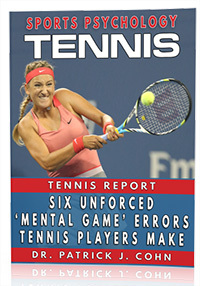 You are here: Home / Tennis Psychology / Tennis Confidence / Tennis Podcast: Does The Score Distract You in Matches? Tennis Podcast: Does The Score Distract You in Matches? 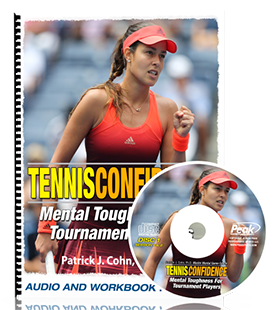 In this week’s tennis psychology podcast, mental game of sports expert, Dr. Patrick Cohn, welcomes back Ian Westermann, a USPTA certified teaching professional and host of the Essential Tennis Podcast. Dr. Cohn and Ian answer a question from a tennis player who plays well in the first set, then starts to think about the score.